‘We’re lucky to live in this era. It is the most advanced moment in the history of humanity. We live longer. We explore space, we have fantastic communication tools. People are always complaining that all is wrong. But they don’t realize the prosperity we experience. And even if things are wrong, the next level question is: Where do we want to go? 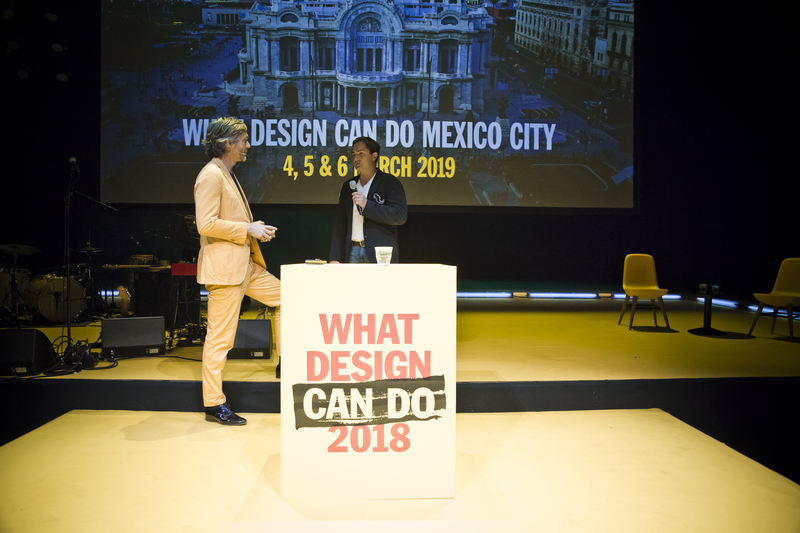 And that one usually doesn’t get an answer.’ Says Javier López Casarín, founder of the Reinventing Mexico Foundation that, along with the support and vision of former Mexico City Mayor Marcelo Ebrard, brings What Design Can Do (WDCD) to Mexico City. 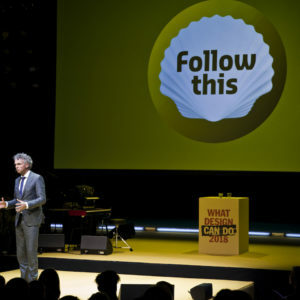 López Casarín is a Mexican serial entrepreneur and innovator who has made it his task to bring change to his country. 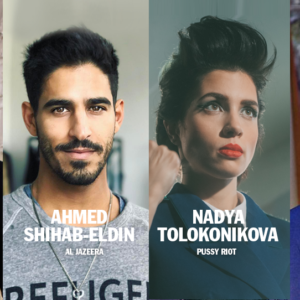 The owner of several companies in the tech and telecommunications sectors, López Casarín set up the Reinventing Mexico Foundation with the aim to promote social and technological innovation in our country. 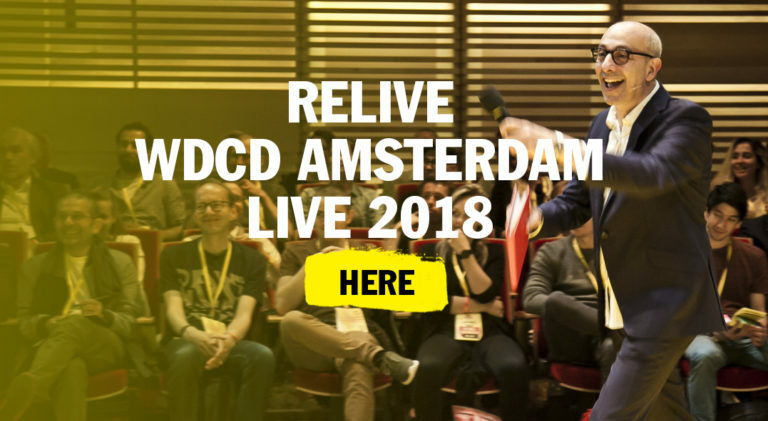 As part of that objective, Reinventing Mexico is eager to bring WDCD Live to Mexico City in May 2019. 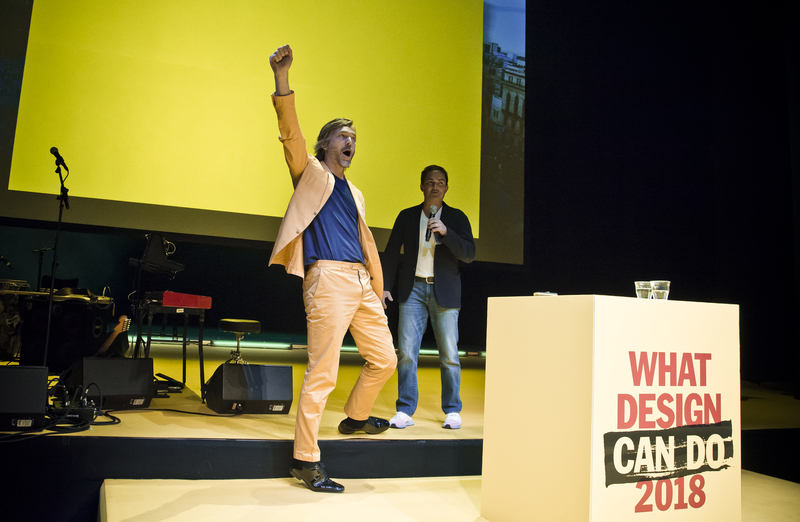 WDCD co-founder Richard van der Laken & López Casarín at WDCD Live 2018. 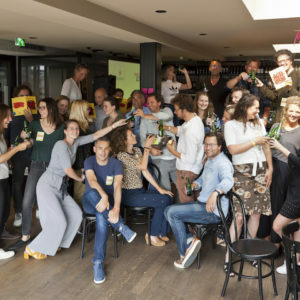 López Casarín is a firm believer of the changing force of design and innovation: ‘I recently read a book about innovation that states that innovation needs adventurers. We have to explore new horizons, just like the explorers who, in the time when everyone thought that the earth was flat, went out to discover otherwise. We shouldn’t build forts or walls, but rather invest in fleets. We need to move forward and take risks. 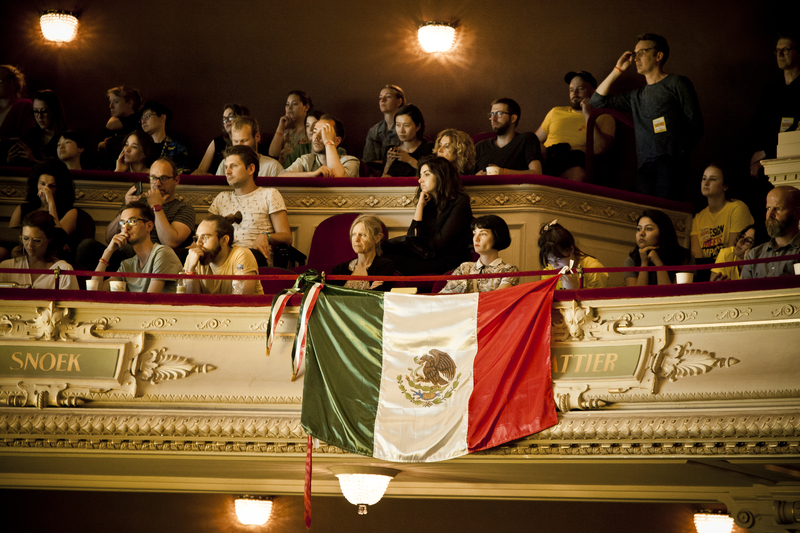 The Mexican flag on the balcony of the Stadsschouwburg Amsterdam, during WDCD Live 2018. Based on the census outcomes, Reinventing Mexico set up a a national programme for the certification of skills, to validate people’s skills and make them more competitive in the tough job market. 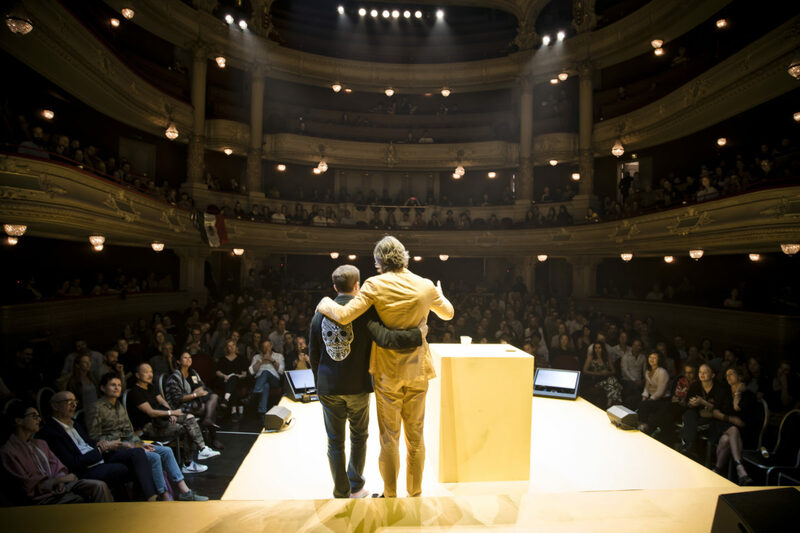 Under the leadership of Alain Pescador, our brand new General Director of WDCD Mexico City, WDCD Live Mexico City will premiere on 4-6 March 2019. 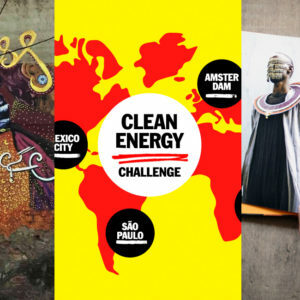 Having directed the programme for The International Economic Forum of the Americas (IEFA) and developed 6 Degrees from a one-man team to a multinational annual event, Alain Pescador is now committed to bringing WDCD Live to Mexico City: ‘WDCD Mexico City will inspire the local creative community with fresh, new concepts. We will put aside the protocols and formalities that are common in Mexico, and will introduce edgy ways of talking, thinking and, most importantly, doing’.